Have you seen Joe Dirt? The David Spade movie where his character has facial hair that "just grows in all white trashy like that"? 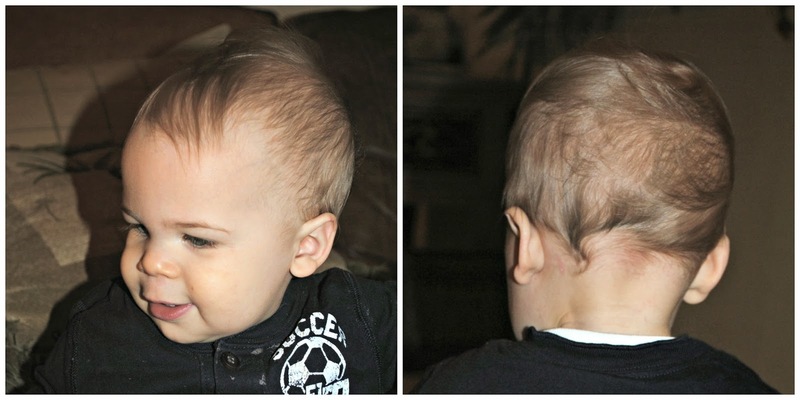 Well, Camden, who has worked a long and hard year for what hair he does have, was experiencing some sproutage that was "just growing in all white trashy" and starting to resemble a rat tail baby mullet. 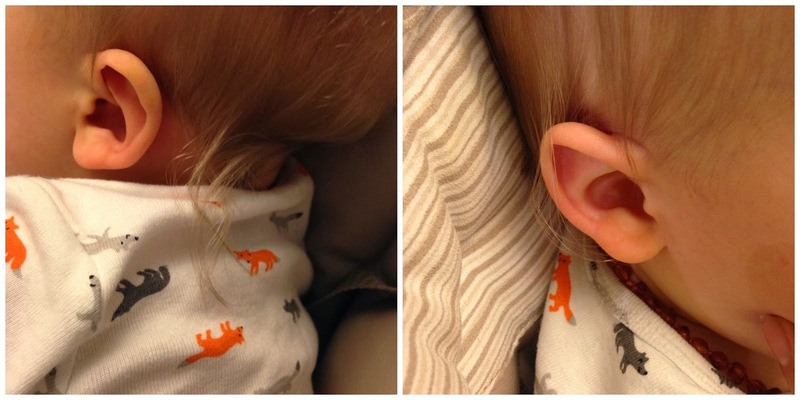 It's disturbing how good I became at hiding the rat tail baby mullet with the "rest of his hair." The "rest of his hair" could have stood a bit of cleaning up, too. 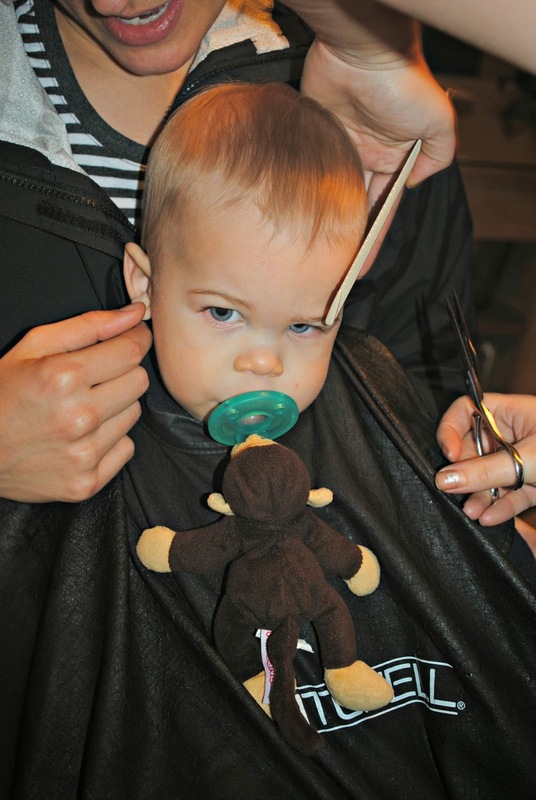 So, onto his first haircut we went. 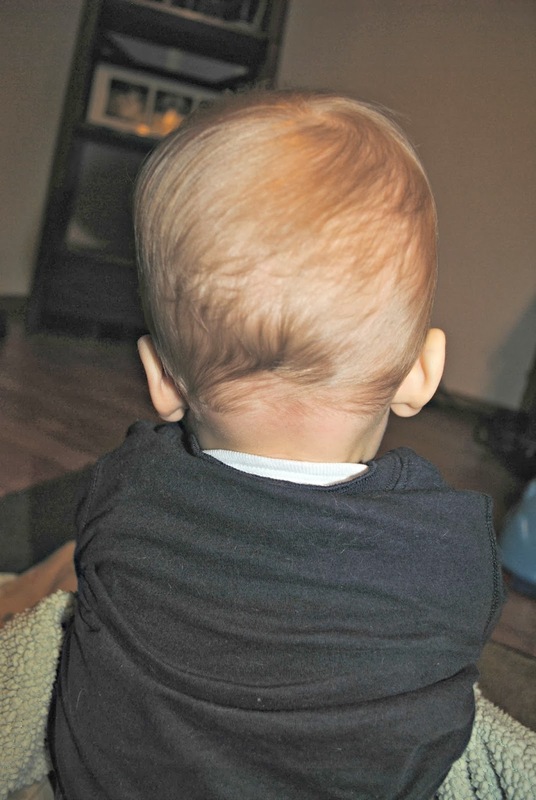 My sweet little man cub - looking like a wee toddler from behind. Now you can see just how cute his little noggin' is. 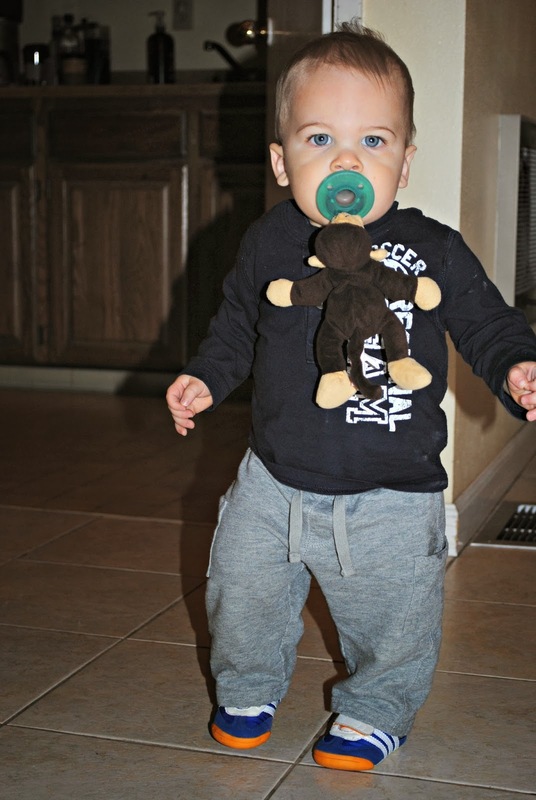 it looks like he handled his first hair cut like a champ! and i'll always love his little rat tail...and the Joe Dirt reference. that's a great movie.